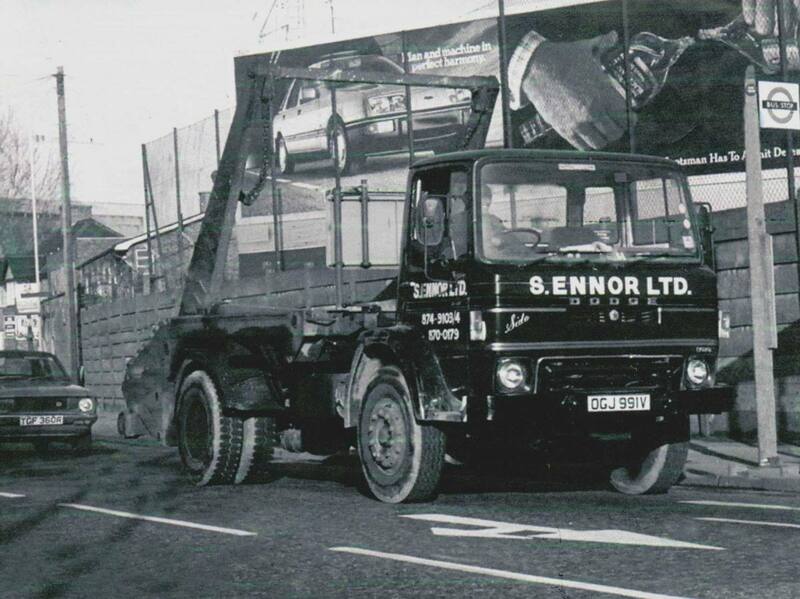 The Ennor family have been in the haulage and waste collection business since the end of the second world war. The company was founded in 1923 by Stan Ennor and traded as S.Ennor Ltd operating from the family home in Linford Street, Battersea, South London (as seen in the family photo above). In the late 1930’s the company provided a service to builders, supplying sand and ballast and clearing and disposing of their rubbish – this was done by hand and very time consuming. This was originally transported by horse and cart and later a flat bed truck that Stan and brothers John and George adapted by constructing a device on each side to hold the materials in place (now known as a caged lorry). 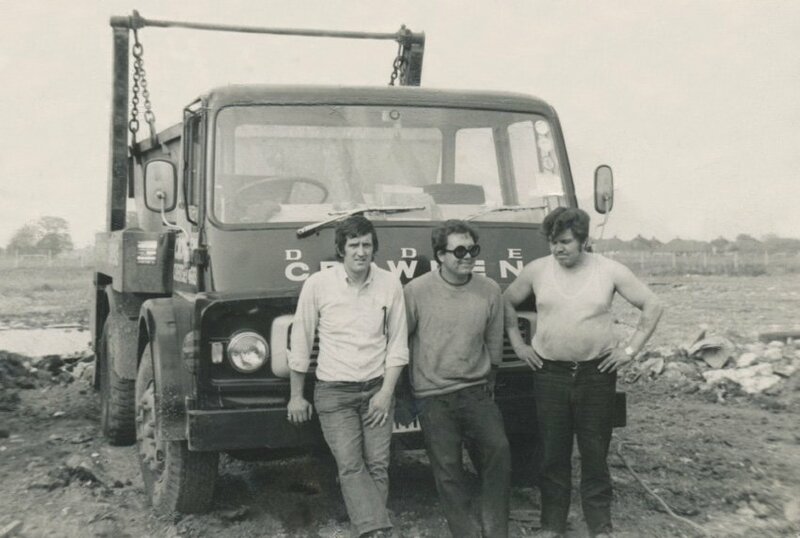 The story goes that the colour used on the lorry, bullock maroon, and used by S. Ennor, A & J Bull and Crowdens (Chertsey), was devised when the brothers mixed red and black paint together and that was the colour they came up with! In the years to follow Stan Ennor and Terry Mills (A & J Bull) became business partners. 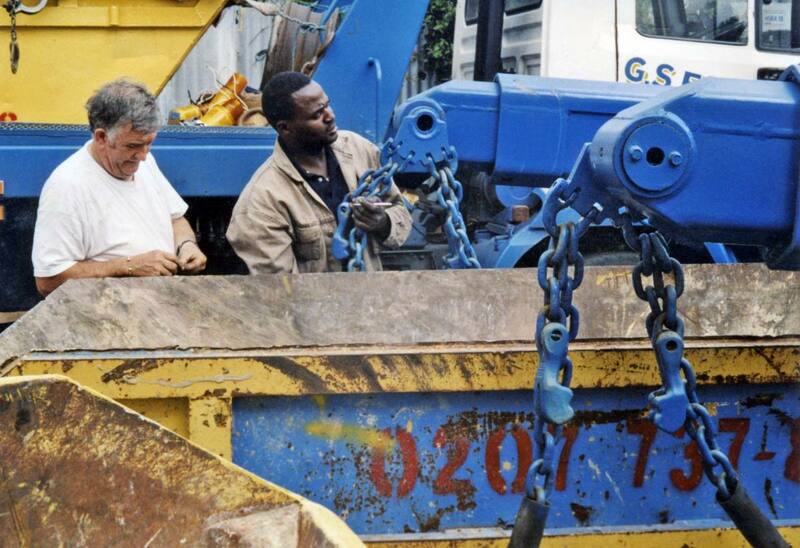 In 1967, Stan’s nephew Terry Watkins (as seen in pictures below), joined the firm after spending some time in Australia where he picked up the idea of clearing rubbish by supplying demountable open top containers that builders could load themselves. 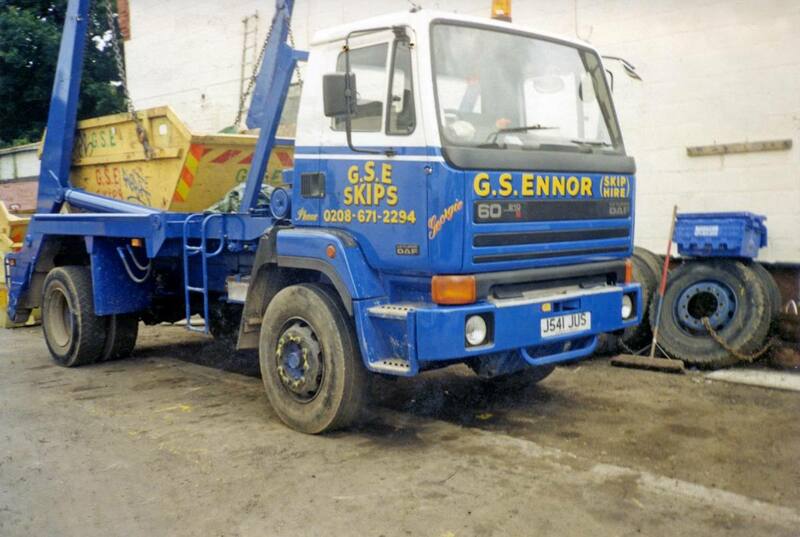 At first, Stan was not in favour of this idea but after much persuasion agreed to convert a 4 wheeler tipper removing the body and replacing it with a skip unit and purchased 20 containers, now known as skips (as seen in photos below). 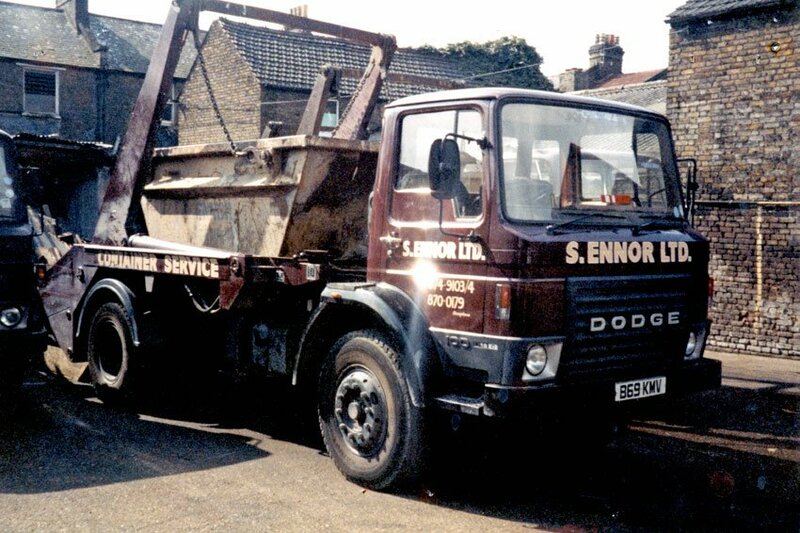 Within a short space of time S. Ennor Ltd had a fleet of skip lorries as well as tipper lorries operating from York Road, Wandsworth. All the lorries were driven by family members, while Stan’s sister Violet and sister Mary’s son, Terry Watkins, ran the office. 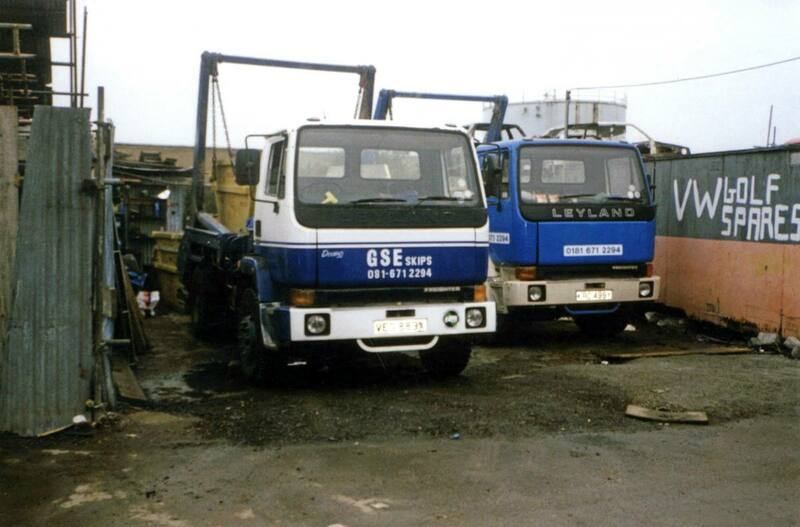 Violet’s husband, Johnny Mills, Aunt Liz’s husband, Sid Gunnal and Stan’s brother, Billy, all drove tipper lorries. 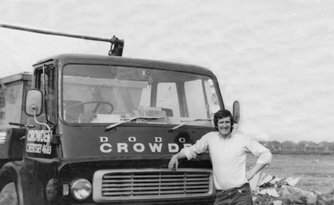 John and George Ennor each drove the skip lorries, while Stan’s brother, George, and his son, Chris, looked after Crowdens (Chertsey). 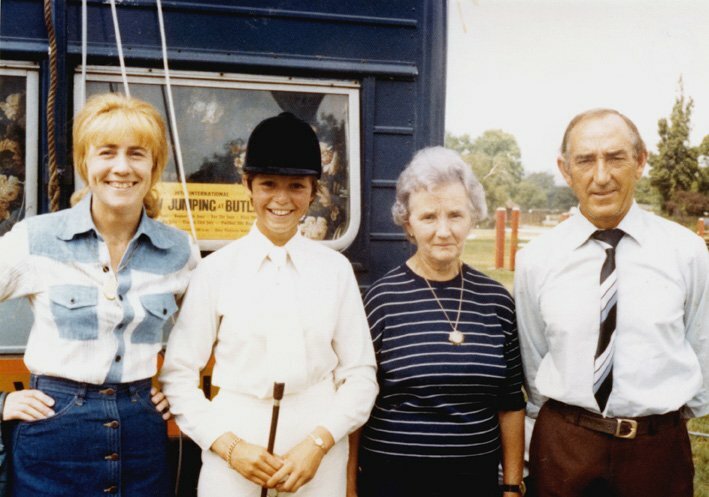 This was a real family business! Stan Ennor and Terry Watkins left to become Chairman and Managing Director of Drinkwater Sabeys in West Drayton leaving Stan’s nephew, George Stanley Ennor, to continue the family business. 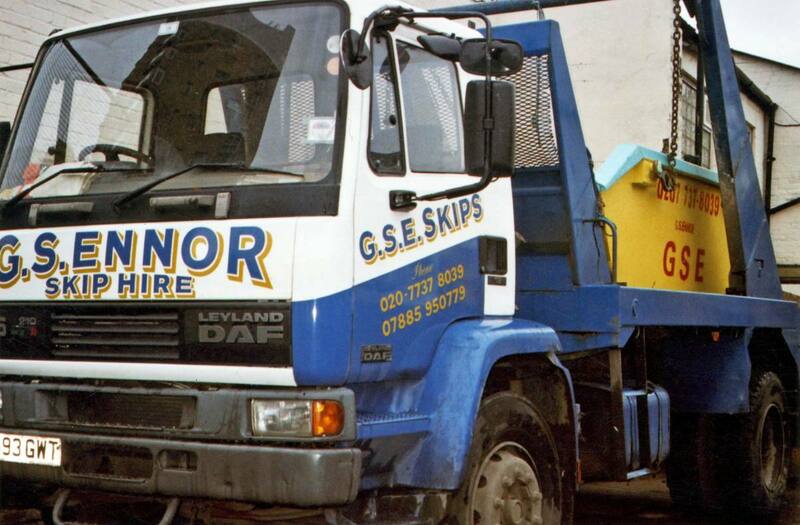 Consequently, the company name changed to G.S.E Skips. 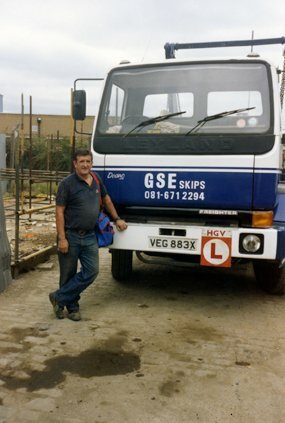 In 1985 George Stanley Ennor and his son, Dean (now the current owner), moved to new premises at Imperial Way, Fulham, where they traded for 5 years. In that time they bought out F. Hibbs Skip Hire and in the early 90’s moved to bigger premises in Herne Hill which is still their current operating centre. Unfortunatly, on the 11th of June 2014, after a long illness, saw the passing of George Stanley Ennor, leaving Dean and his son George to continue the family business. In the summer of 2018, the company upgraded its trucks, in line with the Governments emissions law and we are now fully LEZ compliant. 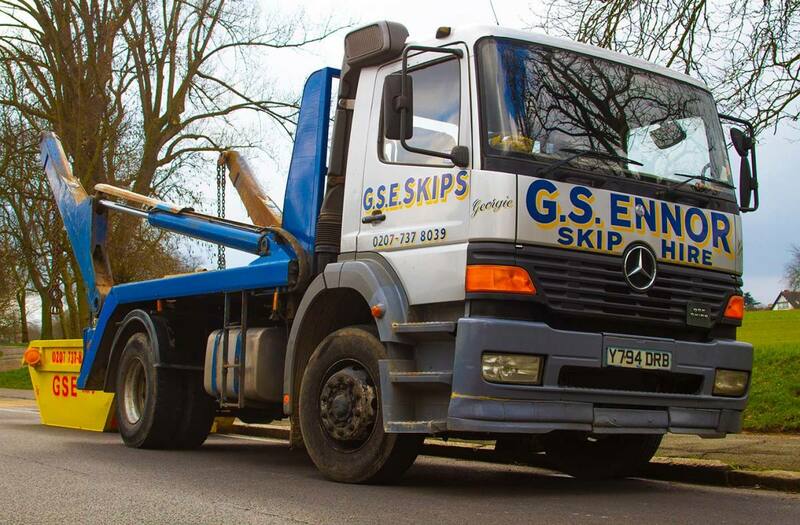 Now known as GSE Skips & Recycling Ltd, we are a local company supplying the local community meaning less pollution and caring about our environment. 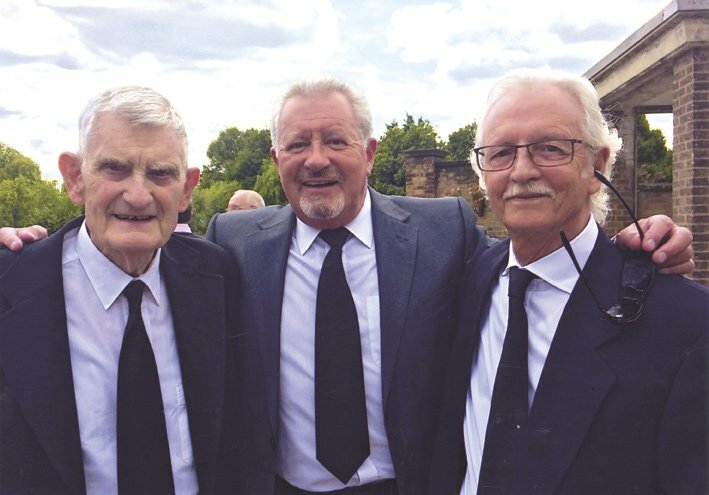 Dean’s, great Uncles, Terry Watkins and Chris Ennor are now both in their late 70’s but are still involved with the company in advisory roles.